It’s always been easy for me to overlook the orphan care epidemic as something that ‘other people’ are working on. 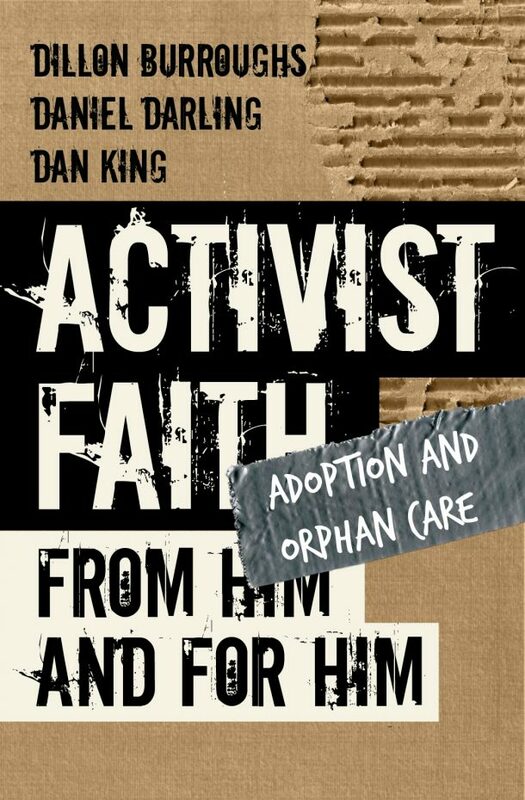 And because the Bible talks a lot about taking care of the fatherless and the orphan, I’ve always considered their work admirable… and potentially worthy of support. That is until I spent some time with a group of orphans in Haiti. 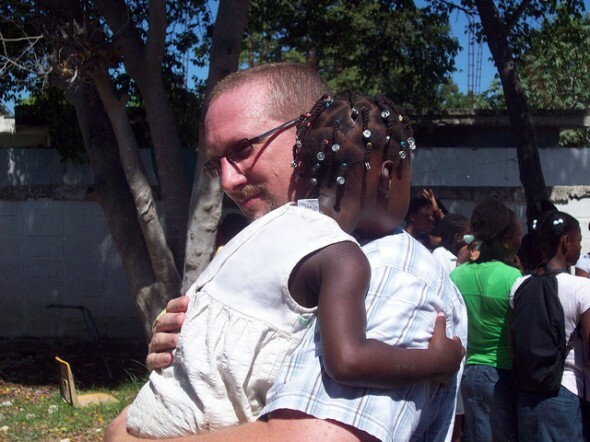 Haiti has always had an overwhelming number of orphans, but the earthquake on January 12th, 2010 opened the floodgates of children left parentless. Of course I felt bad for the kids, but it was the soft heart of my seven-year old son that made me realize that I needed to do something more. I want to pray for all of the little boys and girls who don’t have a mommy and daddy anymore and have to sleep outside tonight because of the earthquake. It didn’t take me long to realize that it was time for me to set my excuses aside. It was time for me to take action. Because I started seeing the heart of God manifesting itself through my very own child. Since that time, our family has been dedicated to making a bigger difference. I went on a mission trip to Haiti in August, and stayed at a boys orphanage housing about 50 kids. Our team built some strong connections with those boys. Watching them cry when we left was one of the most difficult things that I’ve had to do… ever. It was a difficult time because they rarely get the kind of love that we showered on them that week. Their caretakers took good care of them, at least as much as their means allowed (one meal every other day). But the few adults that provided for them is no replacement for the love of a parent. A simple hug becomes a rare special event for these children. This is a stark contrast to the life of my child (and so many others in the U.S.). When I got home, we would get (and give) more than our fair share of hugs. We’d get to cuddle on the couch while relaxing and watching TV together. We’d do all kinds of things that those kids back down in Haiti would probably never get from an adult in their life. Isn’t that what we are spiritually without God? Aren’t we all orphans wandering this earth with little to no hope of ever experiencing True Love? But as Christians we’re adopted into the greatest family of all… by the greatest Father we could imagine! And when we’re adopted into that family, we get to have more than our fair share of hugs from the Creator Who IS Love! 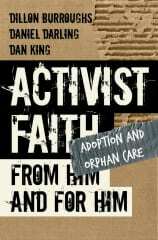 And that’s really why I believe that this whole issue of orphan care is so important for the church to get a hold of. We’ve been given a new life, and it’s a life full of hope and a with a great future. We no longer have to suffer alone, but get to experience the great joy that comes with being in a family like ours. The best part is that we have the ability to share this hope with others. Not only spiritually, but also physically and emotionally. This post is part of The Idea Camp’s blogging series for #icorphan. I’ll be facilitating a workshop at The Idea Camp conference called ‘Orphan Care for the Everyday Activist’. So I’ll be sharing on this topic throughout the months of January and February here at BibleDude.net, and over at The High Calling. I love this, Dan. We’ve been grafted in. Orphan care is about understand our own need, absolute dependency on Someone else to step in, make a way for us. Thank so much for post, Dan. I really feel like the first step to understanding our call to help the orphan is to understand that we were orphans too (spiritually), and that caring for them should be a natural outflow of giving what we’ve received. Thanks Amber! I’m glad to be a part of this project! I’ve always had a particular inner urging to adopt. There are so many kids out there without homes – as I think about what it means to follow in the footsteps of Christ, over and over again I am convinced that Jesus would have adopted. I think couples frequently see adoption as an “alternative” for families who can’t have their own children. I long for the day when adoption is an option for my husband and I – not only as a second chance alternative, but as a first chance choice. It would be really cool if adoption could (would) be a first option for more families. I’m really looking forward to the ‘heavy’ conversation that’ll be happening in the blogosphere over the next month and a half or so on this issue. Hopefully it’ll open some hearts (and resources) to make this kind of thing much more of a reality for many families. I’ll also be sharing MUCH more on other ways that people can have an impact without going through the full adoption process… should be cool! Thanks for stopping by and sharing your thoughts Lori! I really appreciate it! Dan – I remember when you shared the story of your son with me at the last IC in Vegas. Thanks for posting this longer reflection. I love what you wrote at the end: “The best part is that we have the ability to share this hope with others. Not only spiritually, but also physically and emotionally.” Being able to join Jesus’ work of redemption in the world is an amazing gift of grace! It’s great to hear from you Daniel! I hope things are going well for you! Thanks for stopping by again! I always enjoy seeing your name pop up in the comments!